Ever been bitten by an aggressive dog? That bite hurts! 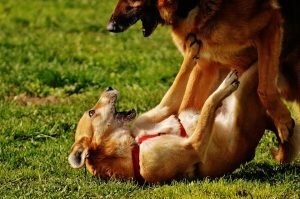 One of the most common behaviors found in the majority of the dogs is aggression. This is a serious condition that affects most dogs. 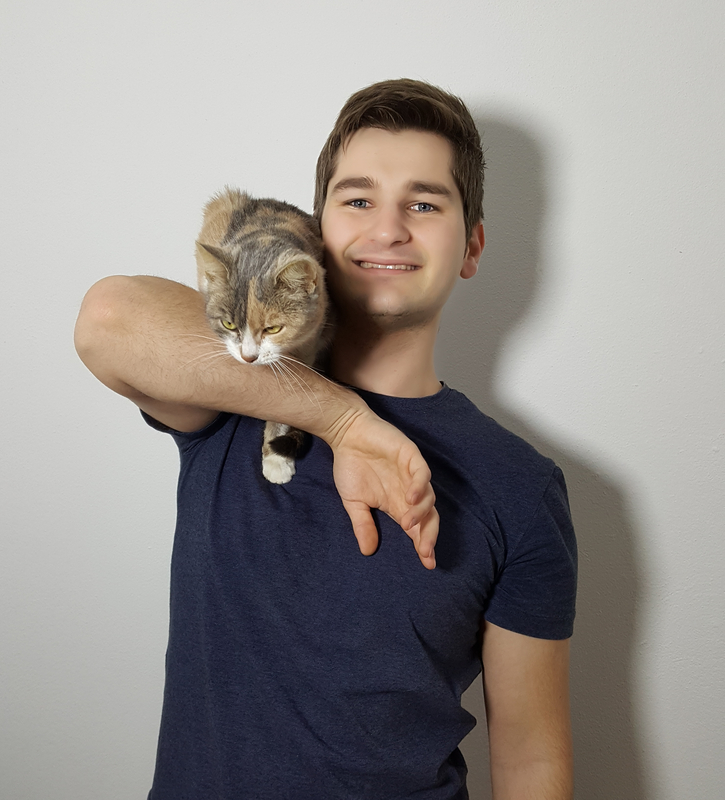 How to control dog aggression? How to correct dog aggression? How to handle dog aggression? 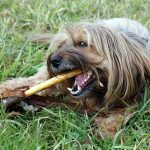 How to stop dog food aggression? 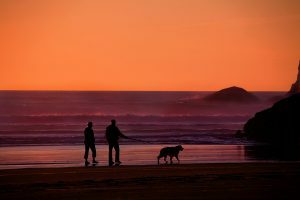 How to stop dog aggression towards people? How to stop dog aggression towards other dogs? “Muzzle punch” It can punch you with its nose. It lunges forward. It can also charge at you without making any contacts. Mouthing, as if it’s moving or controlling you. It doesn’t have to apply any pressure. The dog can bite and also shake. The bite can be so quick that it can tear your skin. The dog’s bite can be with so much pressure that it can lead to a bruise. The dog also produces a sound that can be frightening, which is also known as guttural bark. It snarls. It is combined when the dog growls and shows its teeth at the same time. 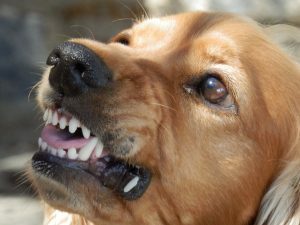 When a dog is aggressed, it shows teeth. It can make continuous bites in a succession that is rapid. Many are the times when the pet owners don’t notice some of these signs before the dog bites. Most of them think that the dog is just erupting, but that is not usually what it is. The time between the dogs’ warning and a bite happens at a lightning speed. It is very seldom for a dog to bite without first showing some warning signs. Who or what made the dog become aggressive? What was happening at that particular time? What had happened to the dog before the occurrence? What made the dog to stop its aggression? Getting answers to these questions will help you discover what it is exactly, that had happened to your dog to get that reaction. This diagnosis is helpful before you decide on the next step to take. Based on those two factors you can get to know the real reason as to why the dog is provoked to become aggressive. This can also help you to understand what the dog needs to get from that kind of behavior. The relatives of wild dogs are mostly territorial. These dogs live in specific areas and they protect their homes from any intruders. The wolves too are regional. In case a wolf that does not belong to a certain pack and decides to raid any of the territories, that belong to others, the owners of that territory attack and dismisses it with immediate effect. …when they impinge their place. This way, many people value dogs because, of their jurisdictional behavior. Other dogs do not only bark when they see an intruder, they also attack and can even bite them. It does not matter if the trespasser is an enemy or a friend. This kind of aggression happens on the boundaries mostly. The area around the property of parents of the pet is watched by a dog. There are some dogs that portray this kind of aggression only to the people that are approaching their home. Territorial aggression is susceptible to both the mature male and female dogs. The puppies are not territorial. When the puppies start approaching adolescence, they also start becoming territorial. This happens between the ages of 1-3 years. Other dogs protect their homes and their places of resting. You will also find others protecting the beds of their owners! Very few dogs protect their water bowls. It is easy to note a dog that is possessive. This dog will show some aggression signs when it has a thing that it wants. You will even find a dog hiding some of the items it adores from either other animals or even people. These people might not even have a clue that, that item is even valuable. Possessive aggression is liable to both male and female dogs. The puppies too can have this aggression. …related to the offense. This aggression causes dogs to charge at people or animals that scare them. They can bark or growl. 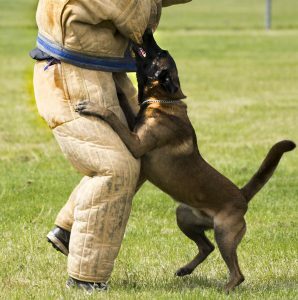 It does not matter if the victim freaks out or makes the first reaction; the dog will make sure it gives its first strike. The only time the dog can set back from its attack is after the victim backs down. 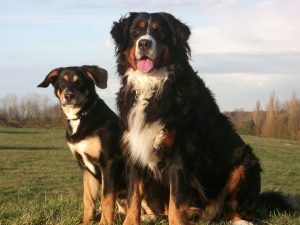 Defensive aggression is susceptible to both male and female dogs. Puppies do not often have this aggression compared to the adults because they lack enough confidence. In case dogs are left all alone, you will find them living in groups and packs made of friends and families. They have always been social animals. In case a member of a pack is not safe, the members of the group or friends run to help out to defend it. When a dog lacks protective aggression, it is likely not to show any kind of this behavior even when it gets its own puppies. In addition, it can also show some protective aggression in case its parents add a human kid in the family. This might seem very cute but it might be dangerous after the dog starts showing this aggression to everyone else who appears as a threat to the well-being of this child. Protective aggression is prone to female and male dogs. Puppies only become prone to this aggression when they get older and become adults. It can also attack them if it sees as if that is the only action it can take. A dog that is fearful will tend to have postures and retreats showing fear. In case it feels as if it is being trapped, it then gets aggressive. A dog can tremble at the thought of being punished but still attack anyone trying to scare them away. A fearful dog will run from a person or an animal that threatened to scare it but after you turn, it will run behind you and attack! Such characteristics make a dog that is fearful want to bite and after biting, it runs off. A fearful dog doesn’t have to show the aggression signs such as showing teeth or growling. When a dog has fear aggression, it will only warn you through its posture and its strive to retreat. Both male and female dogs are subject to fear aggression. The puppies too are prone to this kind of aggression even at their young age. Therefore, instead of fighting for such opportunities, the dogs at the lower level first give the platform to the ones in the higher level to be done with their chance. 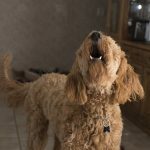 The dogs with high status might tend to be more aggressive to keep reminding the rest of their positions. the members of the families. It is because of this, that a dog must be highly dependable with only one pet parent yet show some aggression to the kids in that family. Most of these dogs are welcoming until when you seem like you are stepping its boundaries. Going through a door while the dog is trying to do the same thing. Keeping the dog from getting what it wants. Disturbing it during its sleep. Manipulating it into a posture that seems manipulating. Males are more prone to this kind of aggression than the females especially in the pure breeds compared to the mixed breeds. The puppies are not commonly socially aggressive to people. However, they can be aggressive to other animals. Identify the cause of its aggression. 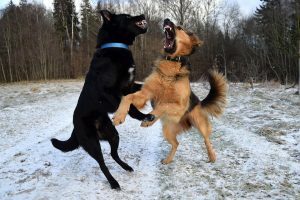 Besides controlling the aggression, we are also going to find out other ways on how to correct dog aggression and how to handle dog aggression. Let’s learn more, shall we? In case the dog is male, you are supposed to restrict certain behavior through neutering him even before his sexual maturity stage. With this, the dog can avoid the aggression towards other dogs. This is a great step towards the correction. When the dogs are not treated right or trained well at a young age, they have issues after growing up. This is the same case with human beings. They can be aggressive to other dogs and human beings. The proper age to introduce puppies to their home is 7-8 weeks. The puppy should be socialized when it’s 14 weeks old. Good training fixes some of the signs of aggression. When the dog is growing up, it is good to rectify any behavior of dominance. Most dogs see humans as the same as them. This is why you will find them trying to challenge people in the family especially the children. This should be accompanied by an obedience training program. You can reward the dog after it behaves well. This helps in the shaping of the proper behavior that you want your dog to have. The dog also gets to know how to react to some situations. You are not supposed to apply any force to the dog. Other people use prong collars, chains for choking and shock collars. Most people think that they help but they actually only make the situation worse. Therefore, avoid using force. This is the best for that have severe aggression issues. 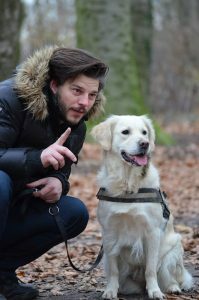 This guide helps the owner of the dog to completely have control over the dog. If you get your dog to obey, then you are on the right track of controlling its aggression. It is necessary to understand the root cause of the aggression behavior in your dog. As we saw earlier on, the dog’s aggression could be provoked by many things such as food. The dog can also be aggressed to either people or other dogs. Therefore it is necessary to first understand the aggression of your dog. Wondering how to stop food aggression? How to stop dog aggression towards people? How to stop dog aggression towards other dogs? Worry not; here is a short guide for you. So how do you do you stop food aggression? You can have it run or walk before it gets its food. When preparing its food, have it seat down or lie, as it waits for its food to get ready. This forms security food. This will make the dog get that to get food you have to work for it. This helps to form a relationship between the provider of the food and the dog. 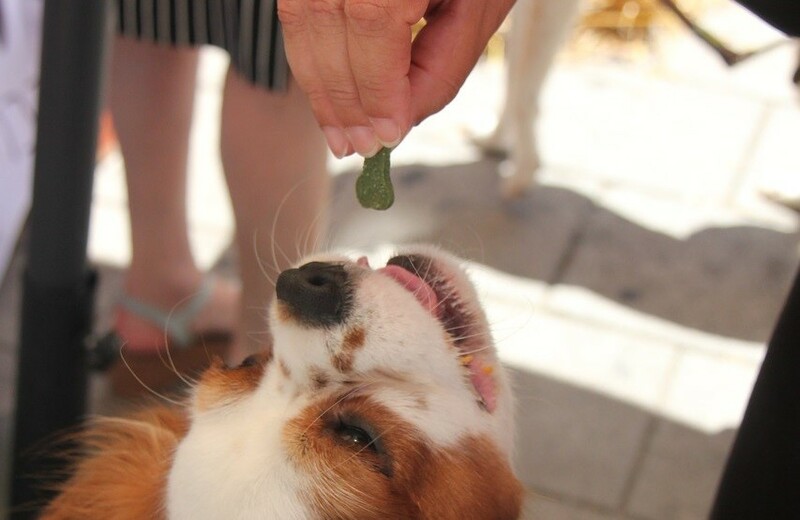 You can also add some special treat for the dog on your hand. This forms a good interaction between you and the dog. This is a way of creating trust. It gets rid of the fear that is related to food. As the dog is eating, you can add another type of food. The dog will clearly see that you are not there to take its food away. This will be enough proof to the dog that it can leave the food without anyone having to steal it. For instance, after putting its food down, leave then call the dog back. After it comes, you can even add it some treat. After this have it go back to its food. In just a few seconds you will see how to stop dog agression towards people. Have your dog socialize if at all it is aggressive to strangers. If the dog is aggressive to members of the family you can use a leash restraint. Have the dog meet new people, both adults, and kids. The best time to do this is when it’s 12-14 weeks old. Ensure you do not crowd it because this can stimulate its fear. In case the animal is frightened because of its surrounding such as children, you can keep it from them until it becomes used to them. Do not shout or hit it. This might trigger fear in it. For example, you can have your dog greet the people at the door. You can take the dog to places which can trigger its fear. However, make sure that you keep the dog on the leash till the dog becomes used to the environment. These lessons should be short to avoid boring the dog. They should also be consistent. 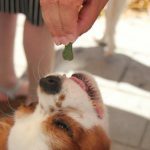 After they are over, give the dog a special treat and an appraisal when it does as you command it to. If you use all the tips above and the dog doesn’t change, you can look for help from a professional. In case you don’t, the aggression can turn into deep problems. Ok, now let’s see how to stop dog agression towards other dogs. You do not have to punish the dog or scold it for being aggressive towards other dogs. Wondering which are the others that can help you on how to stop dog aggression towards other dogs? Here is a list of them. You can also walk your dog to areas where it can meet other dogs. Give the dog some time to go and socialize with other dogs. However, make sure that you are able to confine just in case it becomes overly aggressive. Exposing some dogs to other dogs can cause stress. In such a case, you can isolate it from others to give it room for calming down. You can use commands such as ‘be good’ ‘calm down’ whenever you note that it has become aggressive. Such commands are helpful. After it obeys you or behaves well, you can reward it by giving it a verbal appraisal or treating it with some nice meal. This will be proof to the dog that when it calms down, something good follows. At the end of the day, dogs are amazing creatures to be around and more so to keep as pets. However, with their aggressive nature, it can be difficult to deal with them. The guide above can help you out if you have an aggressive dog. First, understand its type of aggression, the kind of warnings it shows and then you can know what to do and what kind of technique to administer. You should be very keen on every behavior of your dog. That is the only way you can know how best to help it.